The jeremiads of these self-appointed secular watchmen rue the day that so many strayed from the track of modern secular democracy and allow themselves to be lured onto the rocks of political theology. They decry anyone who sees the hand of God in history. Would that these irrational frustrated individuals could but sever their hardwired link with God, they say. Amid the uproar, one equally dramatic thing is forgotten. It is not only religion that has returned. Another seemingly impossible thing has happened: the radical atheists have also returned. Yes, the radical atheist is back with a vengeance. Voltaire has resurrected and lives on. The unthinkable has happened. Indeed, the neo-atheists seem like ghosts of times past. As Prof. Lilla notes, the world has returned to the sixteenth century which prepared the ground for political philosophy and for what some authors call the Great Separation which separated God and religion from a role in history. 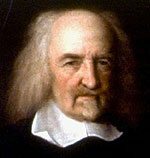 Thomas Hobbes, one of the first political philosophers. Beginning with Thomas Hobbes (1588-1679) and later John Locke (1632-1704), this political model based on philosophies centered on man entered into the scene. The radical atheists also appeared during the turbulent Enlightenment, that enlightened little and clouded much, and culminated with the anti-religious ravages of the French Revolution. During the nineteenth century, a secular age of prosperity and progress was established that sought a consensus that would gradually replace religious sentiments in favor of scientific and rationalist ideas. While the European model of this consensus often employed surges of anti-clericalism and hostility toward religion, the American model took a benevolent live-and-let-die attitude of condescendence and even sentimental sympathy toward religion. At least according to this American model, fundamentalists would gradually fade into insignificance and the radical atheists would also fade away, anticipating a universal brotherhood of man avoiding the whole issue of religion altogether. However, that is not what has happened. The angry atheists that should have drowned in the secular sea of diversity and tolerance have reappeared shaking with all the wrath of Enlightenment freethinkers, invoking Black Legend and flat-earth imagery. They are back with their worn-out anthropological theories of the origins of religion. Like the iconic evolutionary chart from ape to man, one is simplistically led through the stages of religious development, from fear-filled prehistoric shaman to modern day priest. All this is repeated ad nauseam to “prove” that religion is the product of weak and fearful minds who were unable to explain reality and still have not figured out the sun. Ignoring all exegesis and formal Biblical studies, Bible-thumping atheists fill the blogsphere where they take free interpretation to new depths by pointing out the Bible’s “contradictions.” Likewise, today’s poor anti-theologians pontificate on matters of elementary catechism. The spearhead of the angry atheist movement has been the publication of a number of anti-God books that have made it to The New York Times best-seller list. Their provocative titles go beyond any kind of dialogue: Daniel Dennett’s Breaking the Spell: Religion as a Natural Phenomenon, Christopher Hitchens’s God Is Not Great: How Religion Poisons Everything, Richard Dawkins’s The God Delusion, and Victor Stenger’s God: The Failed Hypothesis. How Science Shows That God Does Not Exist. Only a rationalist like Christopher Hitchens would lump all totalitarianism as “religious.” When paraphrasing George Orwell, he classifies even Stalin’s regime as “in effect a theocracy,” and the current regime in North Korea as a case of Confucianism gone awry. However, it is not the simplistic tenets of the neo-atheists that are so threatening. Atheists, like all mortal men, come and go — they do not even aspire to immortality. For twenty centuries, the Church has confronted and overcome atheists of all kinds: She feared not past arguments, nor does She fear them now. What is so disturbing about the current controversy is the tone of the neo-atheist discourse. These are not armchair philosophers pondering the meaning of life without a God. Rather, they deliver their message with such a vitriol and intolerance that calls into question not only belief in God but even respect for belief in God. This is not theological debate. It is Cultural War. “Revealed faith is not harmless nonsense, it can be lethally dangerous nonsense,” declares Richard Dawkins, one of the movement’s most vociferous spokesmen. Of course, it is not only the set of religious beliefs that so enrages them but the religious moral code that especially Christianity teaches. While they definitely want their ideas to have social consequences, religious ideas impinging on public life as they want it are unacceptable. Using questionable science, these neo-atheists frequently rail against religion on issues like the scientist-supported intelligent design movement, the unproven-innate homosexuality issue or still-sterile embryonic stem cell research. The rise of the new atheist movement represents the breaking of the secular consensus that so marked modern times. Now, even the tolerance of religious belief is being challenged and the atmosphere created for yet stronger attacks. In this sense, the new atheism represents a more startling phenomenon than the rediscovery of religion in public life so dramatically highlighted by Prof. Lilla and others. This is because religion never left the soul of modern man despite many attempts to remove God from history. And as today’s neo-pagan world becomes progressively more unlivable, the grace of God works in souls drawing them ever closer. However, the intolerant writings of the movement’s authors (especially in the American context) are such a blatant break with the recent past as to defy explanation. 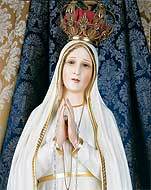 Ironically, the battle lines in this Cultural War resemble those in place at Fatima when the Mother of God appeared. The simple faith of the local populace faced off with the atheist and freethinking minority of the region who reviled and ridiculed them. The faithful resisted and believed. And as has often happened throughout history, the simple faithful won. MARK LILLA, “The Politics of God,” The New York Times Magazine, August 19, 2007.